Google has officially unveiled Goggle Drive, its foray into free online storage. Consumers can get 5GB of free storage to stash anything they want from photos to videos to documents. They'll also be able to use the space to collaborate with others. If 5GB isn't enough space, you can buy more – from 20GB for $4.99 a month up to 1TB for $49.99 a month. Paid Google Drive subscribers automatically get a Gmail upgrade to 25GB of storage. Competitors such as Box charges $240 per year for 50GB of storage. The new SkyDrive charges $50 per year for 100GB and Dropbox will cost you $100 per year for 50GB. 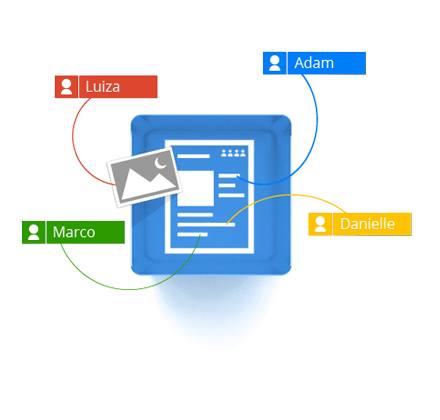 Work with others on projects involving Google Docs, which is integrated into Google Drive. Once you share a file stored on Google Drive, you will be automatically notified when someone comments on the shared material. Access your files from any web browser. There's also an Android app for accessing the drive, and an iOS application is in the works. Search your documents, including text in scanned documents. Image recognition is also supported so you can search for photos, too. Google Drive is designed to work seamlessly with other Google apps. For example, you can attach a photo stored on the drive to a Google+ posting. You'll soon also be able to do the same thing with Gmail, Google promised. What's more, Google said that it's making the drive an open platform in order to encourage third-party apps for the product so you'll be able to do things such as send faxes and edit video directly from the drive.